OAKLAND — As the 2018 season winds down, Evan White continues to be on a torrid stretch pace at the plate. He’ll get a chance to extend that hot streak against some of the top prospects in baseball in October. On Thursday, the Arizona Fall League released its roster for its 2018 season. White and seven other Mariners prospects were chosen by the organization to play for the Peoria Javelinas. Daren Brown, the current manager for Class AA Arkansas, will oversee the squad. The league runs from Oct. 9 to Nov. 17. White, who is rated as the No. 2 overall prospect in the organization, was the Mariners’ “priority selection” of the group — meaning he was still chosen to participate despite not playing at the required Class AA level or above this season. White was Seattle’s first-round pick (No. 17) in the 2017 draft out of Kentucky and this is his first full season in the Mariners system. He is in the final days of the season for High-A Modesto, where he’s hitting .296 with a .369 on-base percentage and .450 slugging percentage, 23 doubles, seven triples, 11 homers, 51 walks and 62 RBIs. Over his last 23 games, he’s hitting .356 with a .452 on-base percentage, a .678 slugging percentage, seven doubles, three triples, five homers, 15 walks and 23 RBIs. 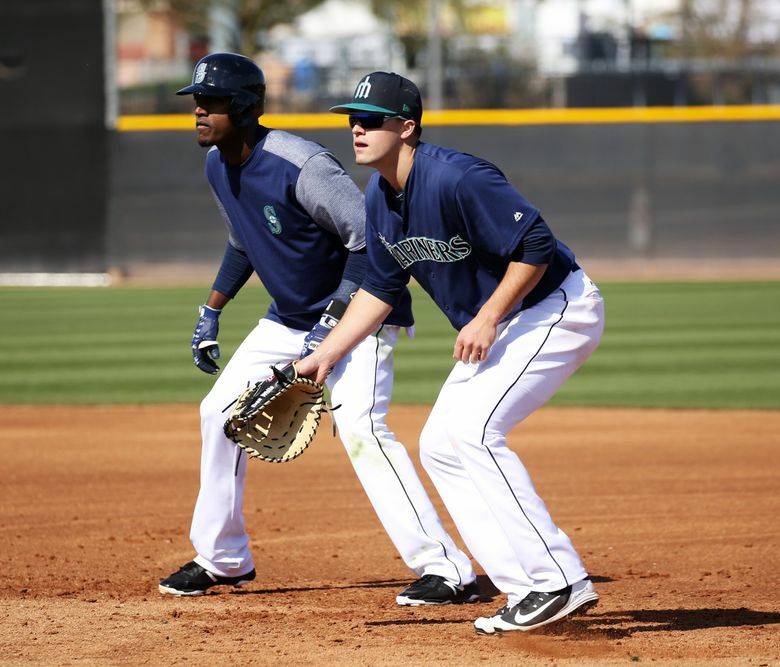 Servais watched White play in several Cactus League games this past spring and came away impressed with his athleticism and defensive ability at first base. Mariners top prospect, outfielder Kyle Lewis, wasn’t chosen. He was on a roster last year, but knee issues forced him out of the AFL. Lewis has played in 81 games this season and will also be participating in the Southern League playoffs with Class AA Arkansas.